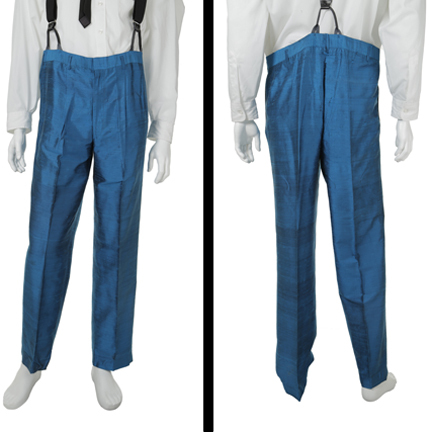 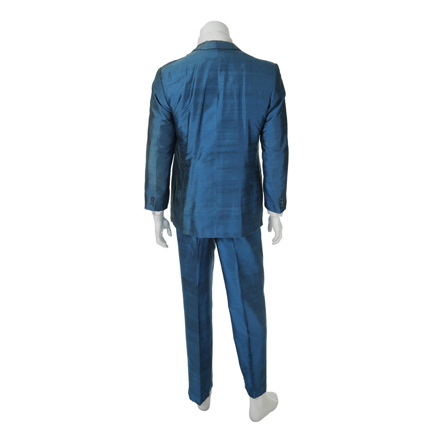 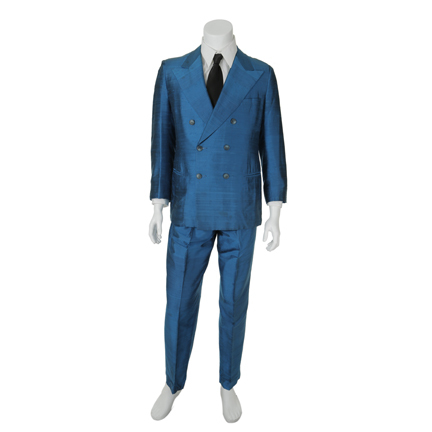 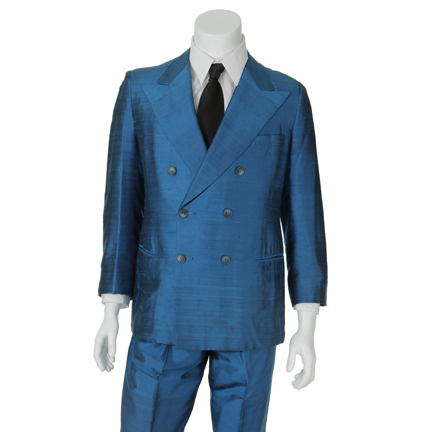 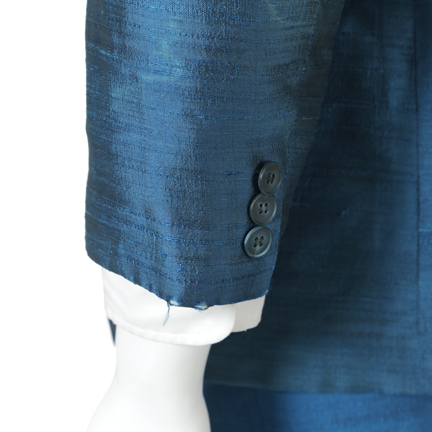 This vintage electric blue raw silk sharkskin suit has oversized peak lapels, six button double breast closure, two lower slash pockets, red lining, and matching pair of pleated pants. 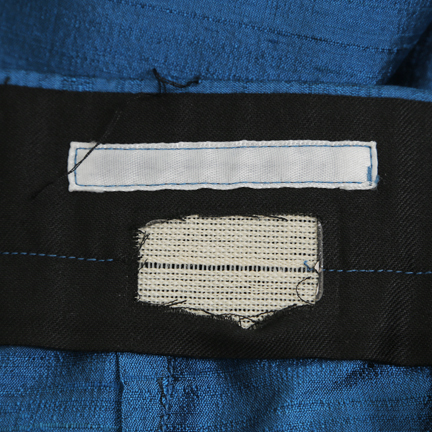 Internal bias labels with “J. 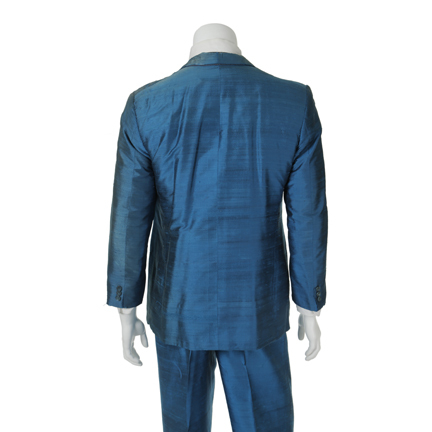 Huston” hand written . 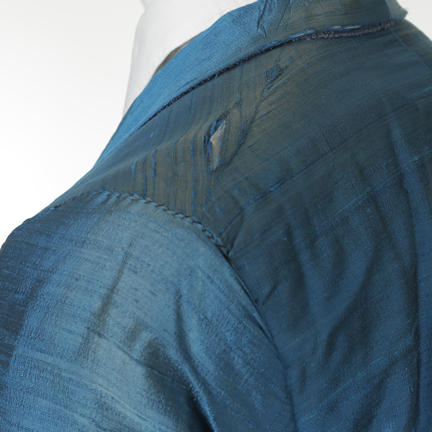 There is slight discoloration and the material along the shoulders shows signs of slight deterioration. 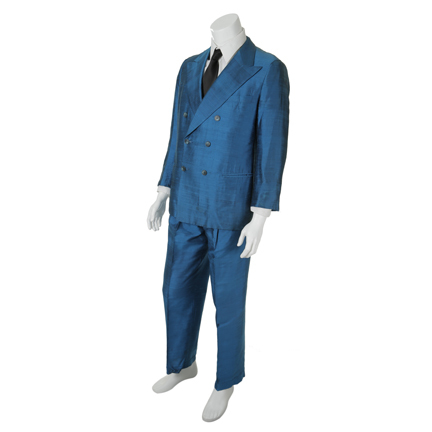 This suit is in fair vintage condition and is accompanied by a certificate of authenticity from the costume house.